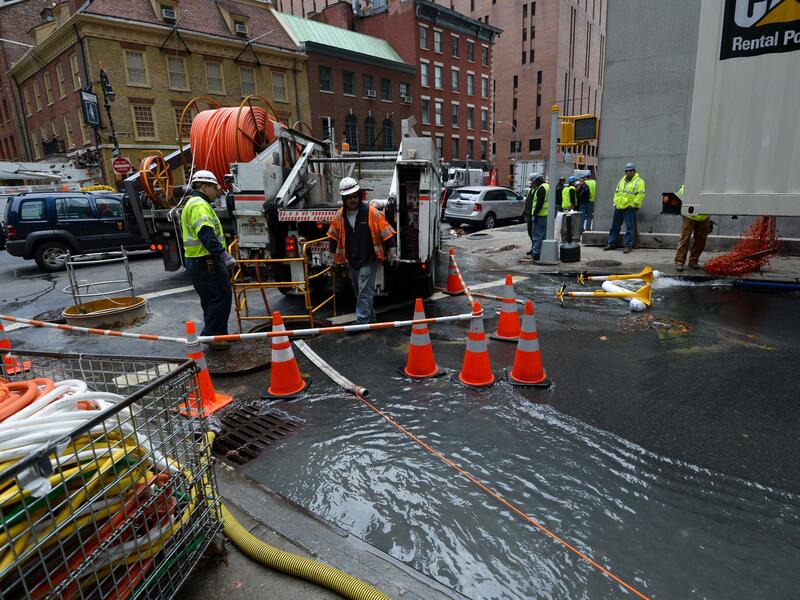 Verizon crews pump water from an access tunnel in Manhattan in 2012 after flooding from Superstorm Sandy knocked out underground Internet cables. The most severe NOAA model of sea level rise shows areas that are projected to be underwater in New York (left) and Miami by 2033 in blue. Green lines represent fiber cables that deliver Internet.